Though solar power as we know it is no more than 60 years old, the discoveries that led to the solar cell began nearly 200 years ago. These discoveries about the properties of light and conductivity have made solar power what it is today. To help you better understand how solar cells came to be, we’ve provided a timeline of the discoveries and inventions that led to their creation. French scientist Edmond Becquerel first discovered the photovoltaic effect in 1839. This process occurs when light is absorbed by a material and creates electrical voltage. Most modern solar cells use silicon crystals to attain this effect. English electrical engineer Willoughby Smith discovered the photoconductivity of selenium, meaning it becomes electrically conductive when it absorbs light. Three years later, William Grylls Adams and Richard Evans Day learned that selenium could produce electricity from light without heat or moving parts that could easily break down. This discovery proved that solar power was easy to harvest and maintain, requiring fewer parts than other energy sources — such as coal-fired plants. New York inventor Charles Fritts created the first solar cell by coating selenium with a thin layer of gold. This cell achieved an energy conversion rate of 1–2%. Most modern solar cells work at an efficiency of 15–20%. German physicist Heinrich Hertz first observed the photoelectric effect, where light is used to free electrons from a solid surface (usually metal) to create power. Contrary to expected results, Hertz found this process produced more power when exposed to ultraviolet light, rather than more intense visible light. Albert Einstein later received the Nobel Prize for further explaining the effect. Modern-day solar cells rely on the photoelectric effect to convert sunlight into power. Physicists at Bell Laboratories discovered that silicon is more efficient than selenium, creating the first practical solar cell — now 6% efficient. 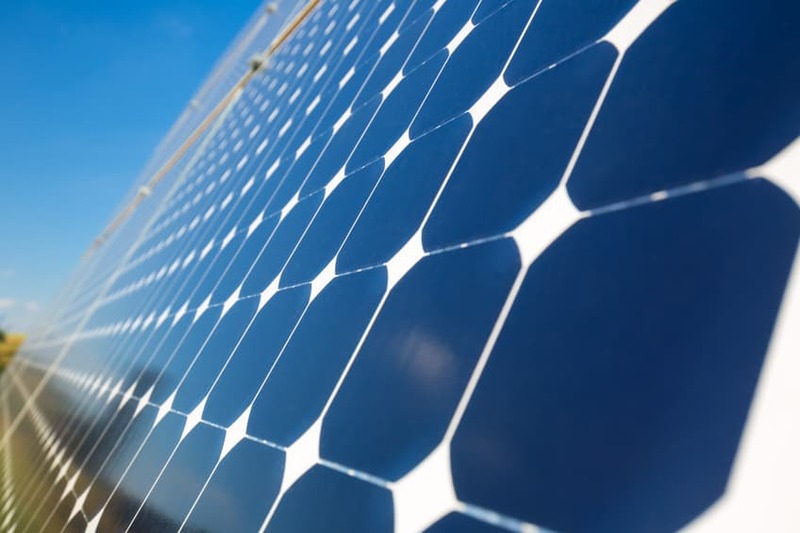 This discovery led to solar cells capable of powering electrical equipment. In 1956, Western Electric began selling commercial licenses for its silicon PV technologies, but the prohibitive costs of silicon solar cells keep them from widespread market saturation. After years of experiments to improve the efficiency and commercialization of solar power, solar energy gained support when the government used it to power space exploration equipment. The first solar-powered satellite, Vanguard 1, has traveled more than 197,000 revolutions around Earth in the 50 years it has been in orbit. This application paved the way for more research to decrease costs and increase production. As oil prices rose in the 1970s, demand for solar power increased. Exxon Corporation financed research to create solar cells made from lower-grade silicon and cheaper materials, pushing costs from $100 per watt to only $20–$40 per watt. The federal government also passed several solar-friendly bills and initiatives and created the National Renewable Energy Laboratory (NREL) in 1977. Arco Solar built the first solar park — basically a solar power plant — in Hesperia, California, in 1982. This park generated 1 megawatt, or 1,000 kilowatts per hour, while operating at full capacity. This could power a 100-kilowatt lightbulb for 10 hours. In 1983, Arco Solar built a second solar park in Carrizo Plains, California. At the time, it was the largest collection of solar arrays in the world, containing 100,000 PV arrays that generated 5.2 megawatts at full capacity. While these plants fell into disarray with oil’s return to popularity, they demonstrated the potential for commercial solar power production. Solar research continued to expand into other commercial industries: Thomas Faludy filed a patent in 1995 for a retractable awning with integrated solar cells. This was one of the first times solar cells were used in recreational vehicles. Today, this feature is a popular way to power RVs. In 1994, the National Renewable Energy Laboratory developed a new solar cell from gallium indium phosphide and gallium arsenide that exceeded 30% conversion efficiency. By the end of the century, the laboratory created thin-film solar cells that converted 32% of the sunlight it collected into usable energy. 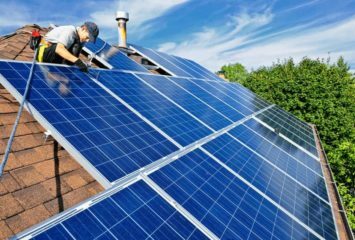 As technology and efficiency of solar cells have increased, residential solar power has become more popular. DIY solar panels started hitting the market in 2005 and have become more prevalent with each new year. Today, there are many ways to make your own solar panels, from putting together a solar panel kit to planning a solar array. 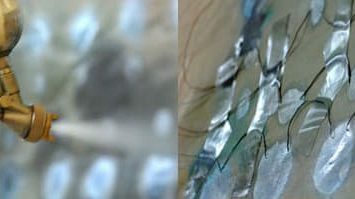 Solar cells as thin as paper can now be manufactured using an industrial printer and made into products such as roof tiles or shingles. They have 20% power conversion efficiency, and a single strip can produce up to 50 watts per square meter, making the cost of residential solar energy lower than ever. This is also great news for the 1.3 billion people in developing countries, as the strips are flexible and inexpensive to produce. A research team from the University of California, Berkeley, and the Australian National University discovered new properties of nanomaterial. One of these properties is called magnetic hyperbolic dispersion, which means the material glows when heated. If combined with thermophotovoltaic cells, it could turn heat into electricity without the need for sunlight. Solar power has come a long way in the past 200 years, from observing the properties of light to finding new ways to convert it into power. This technology shows no signs of slowing down — if anything, it is advancing at an unprecedented rate. Stay up to date on the latest solar news and advances to decide if solar power is right for you.